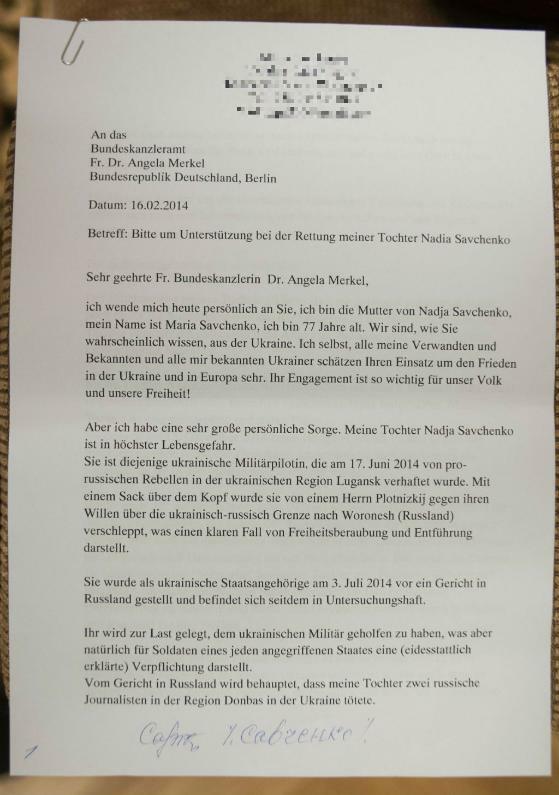 Mariya Savchenko, the mother of the Ukrainian pilot Nadiya Savchenko, has written a letter to the German Chancellor Angela Merkel asking for her assistance in freeing her daughter, reports RBC-Ukraine, citing the German newspaper Bild. “Dear Mrs. Merkel, please help me save my daughter. I’ m appealing to you directly and I really hope that you will somehow help us come out of this situation,” Maria Savchenko writes. 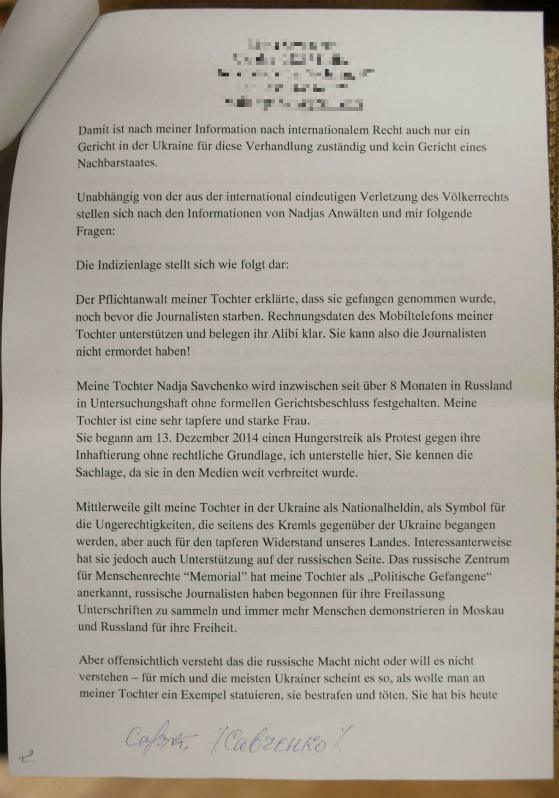 According to Maria Savchenko, Nadiya has an alibi and cannot be guilty in the deaths of Russian journalists. Savchenko explains that she is unable to help her daughter and this is why she is appealing to Merkel.